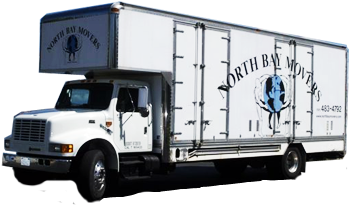 I have been a North Bay Movers customer for 15 years and have moved with you guys probably 10 times. You are courteous and prompt, and have always managed to schedule a move when I needed one. Your prices are reasonable and I have always appreciated your willingness to take on a challenging move, be it a lot of stuff or a difficult location. Also, your trucks are state-of-the-art with lots of helpful boxes, ramps, blankets, and ties. Tracy and Ramon were the movers on the most recent move on February 18, 2010. Tracy is really good with helping to take things apart and reassemble, and Ramon is cheerful and helpful, especially at the end of the move when I am sure they are very tired. Thanks again and keep up the good work. I will be calling you guys for the next move for sure!